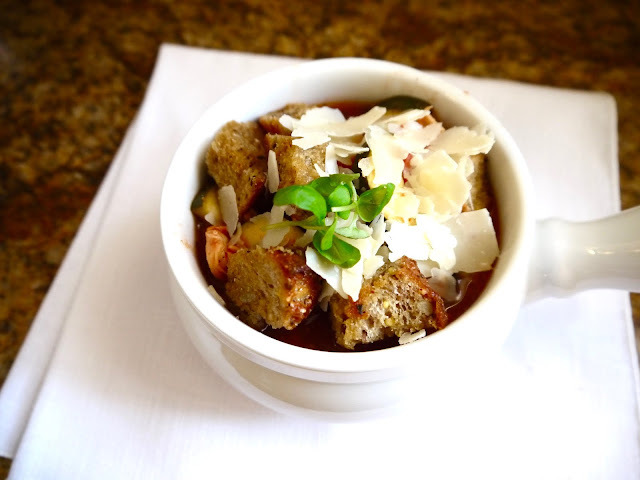 This simple soup is a wonderful combination of zucchini parmesan and chicken parmesan. 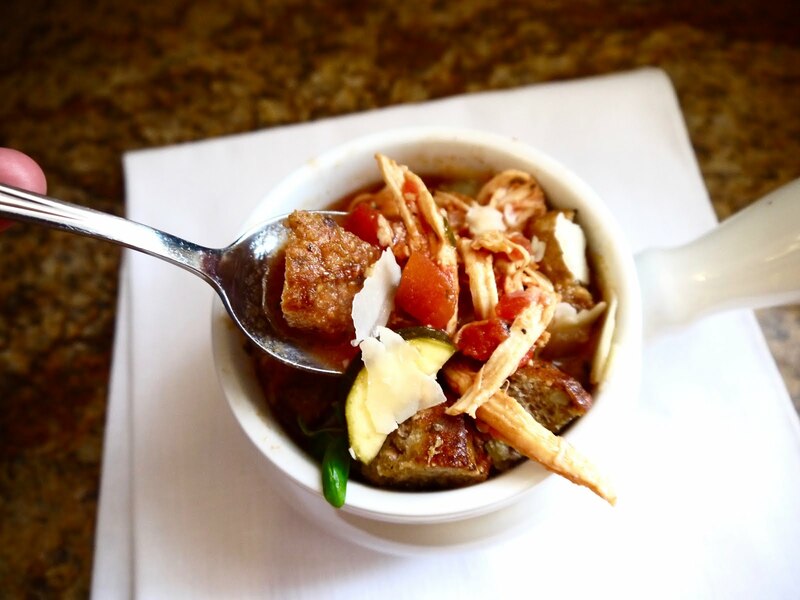 The Italian flavors will warm you instantly! I served this topped with my homemade whole grain croutons (see previous post) and shaved parmesan cheese. Check your grocer for low sodium or no sodium-added versions of canned tomatoes! They are in demand so many are easier to find than they used to be. If you can't find them, make sure to put in a request! Most grocery stores are more than happy to stock them for you! Combine all ingredients except for zucchini in a slow cooker. Cook on low for 6 hours, adding zucchini slices for the last 1-2 hours of cooking. One hour prior to serving, remove chicken breasts and shred. Return to the pot to heat through. Serve topped with croutons and shaved parmesan cheese.